Wladimir Klitschko recently made the shocking announced of his retirement from boxing. And this is the decision he has taken with an immediate effect. This has ended any chance of a rematch with Anthony Joshua the heavyweight world champion. The Klitschko, who is now 41-year-old, enjoyed a long career of 21-year in the field of boxing. In his career, he fought 69 fights and won 64, he was beaten by Joshua in a scrap of an almighty heavyweight on April 29 this year in an 11th round stoppage. The match became very famous. The retirement of this Ukrainian player is really a big news as is one of the true greats of the sport. He held a number of titles such as WBA, WBO, IBF, and IBO. In addition, he has the lineal crown, and has the reward of being the second-longest serving champion of heavyweight of all time. He was behind Joe Louis and in the span of nine years, he had 18 consecutive defenses. 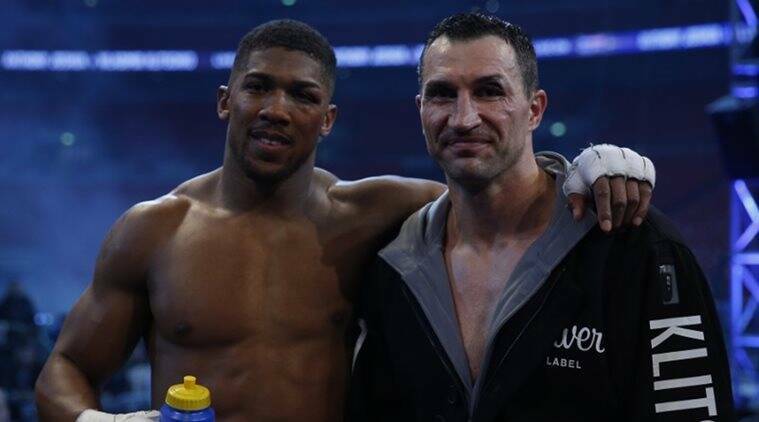 Anthony Joshua’s promoter Eddie Hearn has said that the rematch between the pro boxer and his recent opponent former heavyweight champ Wladimir Klitschko would likely happen by November. After both top fighters clashed in April with AJ winning, many have salivated at the prospects of a rematch. “The next step for Anthony Joshua will probably be announced in the next three to four weeks and it’s likely to be Wladimir Klitschko,” according to the promoter. There have speculations that Joshua would fight undefeated Tyson Fury, top American fighter with a lot of power Deontay Wilder or even the mandatory challenger KubratPulev. Hearn said Joshua has to fight Pulev, so it would be before or after the Klitschko rematch. He added that Joshua is receiving offers from China, Dubai, Nigeria, America and locally for fights. He praised Wladimir for giving AJ his first pro career knockdown, saying it was “one of the best performances” of Klitschko’s career. Former WBA heavyweight champion Wladimir Klitcsko says he is feeling much younger as he prepares for his rematch bout with Tyson Fury who defeated him some months ago. It would be recalled that the Ukrainian boxer lost his WBA heavyweight title to Fury back in 2015. The veteran fighter who is reported to be quick to exercise his rematch clause with Fury told Sky Sport’s Ed Robinson, that losing to Fury in their previous bout has brought with it a feeling of liberation. The fighter, who says he is enjoying his current position as a challenger, said: “I love it. I just feel younger. I feel better. Believe it or not, I’m enjoying the position I’m at right now. I’m relieved. I’m relaxed but alert. WBC heavyweight titleholder Deontay Wilder is still giving Wladimir Klitschko a go at defeating IBF heavyweight champion Anthony Joshua in their bout on April 29 regardless of his feelings that father time is hitting on the door of the aging 40-year-old Ukrainian heavyweight. Deontay frankly admits that he prefers the younger lion Joshua win the fight, though, considering that a show-down between the two will make a heck of lots of green stuff. Wilder enjoys the idea of him matching a fighter like Joshua, whom will come to slug with him, given that he desires to trade shots with him and land a few right hands blow on his chin to see whether he remains standing. Joshua hasn’t been hit with a significant shot ever since Dillian Whyte staggered him in the second round of their fight in 2015. If Joshua defeats the hapless Wladimir on April 29 without getting hit with something significant, then Wilder might be next if the IBF and WBA allow Joshua the to fight the 6’7” Deontay in a unification fight. Those who know Wladimir for his revolutionary fighting skills also know that he and his brother are incredibly gifted. Did you know that Wladimir also holds a PHD and is conversant in four languages? He has definitely dominated the boxing scene in the heavyweight category, along with his brother who has now retired from the boxing scene and is currently a mayor of the Ukraine capital. His trainer is Peter Fury, his uncle as well as a legendary fighter in his own right. The fury has stated that many of the talented fighters in the same category have been avoiding taking on Wladimir in the ring. He has had a winning streak of 21 fights consecutively, which is a feat impossible to master by many. 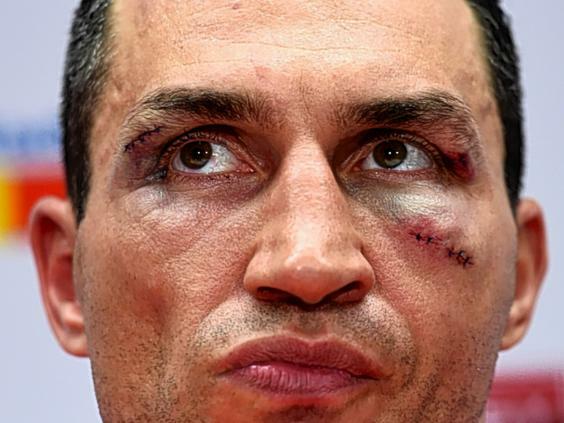 Wladimir is known to have suffered defeats through concussions and knockouts early into his career. For that reason he is taking on defensive strategies in his fights these days. His punches come out only when he is sure of connecting and being able to stay out of range at the same time. The approach has its benefits, but shortcomings as well. Last year he was defeated when his weaknesses were exploited by Tyson Fury. Tyson was able to dominate as well as push off Wladimir and get him defeated. However, most fans are hopeful that Wladimir will get back and would be back in form, ready to overcome his weaknesses and become more formidable in the ring than what he already is. With a fighter like Wladimir Klitschko many formidable fighters find it a worthy fight to end their career with. That is what Tyson Fury plans as a rematch is planned between him and Wladimir Klitschko for July 9th. Tyson decided to retire and he has announced his plans as well. He is a heavyweight champion in the world category he had won the IBF, WBO and WBA titles and it would surely be the right time to leave the ring with all the accolades. That is what he hopes to achieve when he walks out of the ring after fighting with Wladimir Klitschko on home ground. The fight is scheduled to take place in Manchester, his home turf.